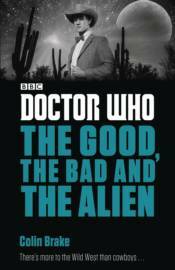 The Doctor treats Rory to a trip to the Wild West, where they find a ghost town full of sleeping people and the Black Hand Gang; outlaws intent on robbing the local bank. But it's not quite the same as the films Rory's seen on TV. They soon discover they're not the only visitors to Mason City, Nevada and find themselves in a showdown against a deadly foe!